The Sun is Still Shining for Villa Retreats! So the traditional “summer” (if we can call it that!) is over, and with it comes the thought of long, cold nights, miserable rain and layering up to avoid the harsh elements of a UK winter. You may be thinking you should put away thoughts of lazing by the swimming pool, strolling along a beautiful sun-kissed beach and al-fresco dining under clear starry skies for another year, but this couldn’t be further from the truth. Right now is the perfect time to discover some winter sun and we at Villa Retreats are here to help you find the ultimate places to get away from the rain and chase that sun. From luxurious private villas in Thailand to glamorous seaside retreats in beautiful Antigua we’ve got your winter sun plans wrapped up. Contact our destination experts for first-hand advice or if you haven’t quite made your mind up yet keep reading to find out what’s in store for you at some of our very special private villas in some of our favourite winter holiday destinations around the world. If you’ve ever been to Koh Samui or know someone who has been you will most likely know about the wonders that await on this stunning island. If you’ve never been before then now is the perfect time to experience it for yourself. With magnificent sun-drenched beaches, stylish and exclusive fine dining restaurants, sophisticated nightlife and unparalleled hospitality, Koh Samui offers the very ultimate in luxury winter sun destinations. The weather here is at its most wonderful between November and February and Koh Samui is synonymous with indulgence and total relaxation. 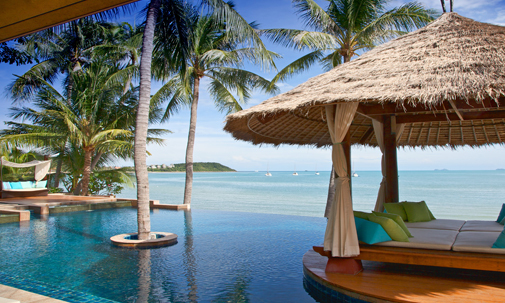 Where better to enjoy this than from your own luxury Koh Samui private villa? Whether you are planning a family vacation, a group getaway or a romantic retreat with your loved one you deserve the very best and that’s where we are here to help. This exceptionally stunning private villa is situated right on the beach front, sleeps up to 20 people and has its own private chef ready to cater to your every culinary desire. For something just a little bit smaller this very special villa set in the Koh Samui hillside even has its own private spa with a dedicated spa therapist available to offer you extreme relaxation and tranquillity. Like many of our stunning Koh Samui villa rentals this impeccable house also comes with its own private chef but should you be able to drag yourself away from your sumptuous surroundings the wonderful array of sophisticated eateries and upmarket bars on offer throughout Koh Samui will not disappoint. 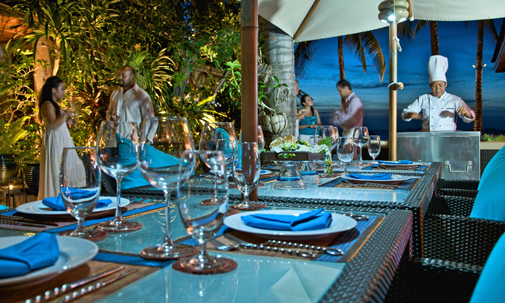 Koh Samui is now recognised as one of the world’s favourite culinary destinations. With many world-class restaurants from some of the Thailand’s leading talents you can be assured of dining experiences that are memorable for all of the right reasons. Our friendly team have visited Koh Samui many times and would be delighted to share their recommendations with you but some of our favourites include the Tree Tops restaurant in north Chewang where guests can enjoy exceptional Thai and international cuisine in their own individual tree house and The Boudoir in Maenam which offers the very best in dining opulence with a mixture of local and French cuisine. For a romantic dinner for 2 we recommend either the “Dining on the Rocks” experience at the beautiful Six Senses Samui or Ocean 11 which is located right on the Bangrak Beach. Of course with all fine dining experiences booking is usually essential so make sure to take advantage of our concierge service for advice. The beautiful province of Phuket is renowned for its high-end and glamorous spas, restaurants and resorts which are dotted along the stunning coastline overlooking the Andaman Sea, and with excellent weather all year round this is an ideal spot for an indulgent and relaxing winter break. 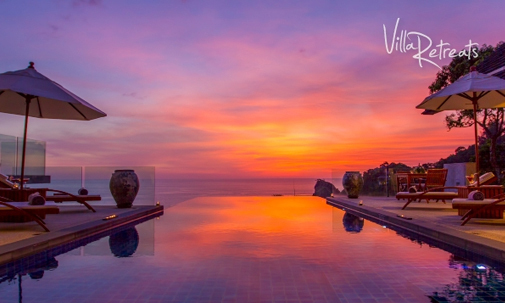 Spend your days soaking up the sun in one of our luxury villas on Phuket before enjoying incredible fine dining and sophisticated nightlife along the coast of this marvellous island. With many of our luxury villas having their own private chef, such as this one which offers outstanding views over the Surin and Bang Tao Beaches, you may feel like you will never want to venture out but should you choose to there are some fantastic options available. As always our luxury holiday experts can offer personal recommendations and our concierge service is on hand to help with bookings and transport. Make sure to sample the culinary delights of the Siam Supper Club in Choeng Thale or the Bampot Kitchen where exceptional dishes are brought to life by some of Thailand’s very best chefs. For something a bit more active why not ask our concierge service about the fantastic water-sports options which are available on the island, take a boat trip to islands such as Phi Phi or book a luxury car hire and take a trip into Phuket City where you are sure to be delighted by the traditional shops and bustling markets that Thailand is famed for. However you decide to spend your luxury winter break in Phuket you can rest assured that Villa Retreats will be there every step of the way. We know that a luxury holiday is not just about where you stay but also about the full experience that will create memories to last a lifetime. Of course it helps though when you can come home each evening to such a wonderful place where your every need is catered for. Which is exactly what you will get from a stay in one of our fabulous villas! Take your friends, bring the whole family or make it just the 2 of you…with Villa Retreats the choice is yours! 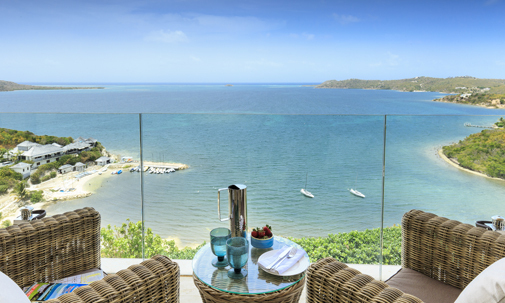 If you’re looking for a luxury Caribbean holiday then look no further than the stunning resort of Antigua. If immaculate white sandy beaches, elegant seafront restaurants and unsurpassed hospitality isn’t enough, the fact that this beautiful island offers an excellent climate all year round surely sells this as an ideal winter sun destination. Escape from the trials of everyday life and immerse yourself in the laid back lifestyle of this unique island. Whether you’re looking for a romantic honeymoon, a fun-filled family holiday or even an exquisite wedding location Antigua will never disappoint. 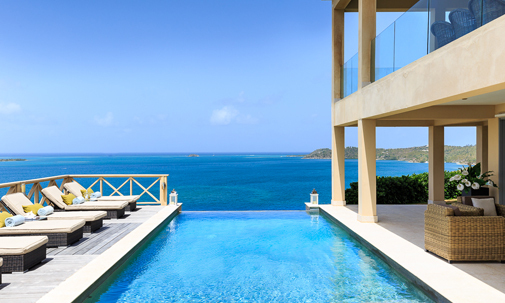 A magnet for the rich and famous, with their super-yachts parked up as they explore the island’s stylish boutiques and casinos, you will feel every bit as glamorous with your own private luxury villa set in Antigua’s exclusive Nonsuch Bay Resort. This magnificent property boasts a private infinity swimming pool, with breathtaking views across the bay, beautiful landscaped gardens and exceptional design. 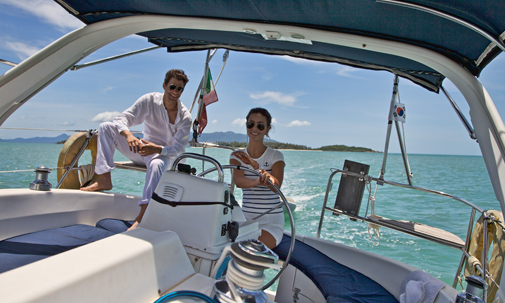 Take advantage of our concierge service who can arrange everything from a reserved table at the island’s finest dining establishments to private yacht hire and watersports activities. Or simply relax in your private retreat eating delicious meals created by your own personal in-house chef, enjoying the sea views and soaking up that delightful winter sun!